WE DO IT ALL AUSTIN TX. Whether your project is large or small, we take on all size jobs. For every repair or remodeling need that may arise, Professional Handyman Austin is dedicated to giving you dependable handyman service and first-class craftsmanship. Whether you need maintenance, remodeling, or general construction, you’ve come to the right place. Rather than calling individual professionals for each of their home improvement needs, Austin, TX residents are calling our handymen. We are experienced with bathroom remodeling, kitchen remodels, and pretty much any repair or installation job you need done in Austin Texas. Helping you with your to-do list is what we get excited about. As your Austin handyman, we are the solution for all your home repair projects. We are a jack-of-all-trades. Whether you need something repaired, built, designed or installed, you can rest easy knowing the task is in good hands. Attempting to complete a repair or installation job can be aggravating, especially when if it needs to be done with precision and accuracy. We are skilled professionals with years of experience in many different construction, and home repair fields. Either residential handyman services, or commercial handyman services, you can trust that we have the technical know how, and skills required to do your work properly and in a very timely manner. Give us a call today for a free estimate. ​Our purpose is the same as yours, which is to make your residence a relaxing place to be. When you contact us for assistance, our Austin handyman comes to you, regardless where you live in the Austin, TX area. Our crew acts with honesty, displays respect, has solid work ethics, and treasures your trust in us. From drywall repair, sheetrock installations to painting or patio construction, Professional Handyman Austin does it all! Dedicated to quality, we are enthusiastic about our Austin handyman services and your satisfaction is fundamental to our success. You are very important to us, and our main objective is to give you fair priced, quality handyman services and to finally get that to-do list for your house taken care of. Bring your big jobs, or honey do list to us, and we’ll handle the rest. If your ceiling fan is broke, and you want to know “who is the best handyman near me?” Professional Handyman Austin is the correct answer. Fast and efficient work is what we do. Perhaps you don’t have the time or talents to take care of your to-do list. No matter the reason, our skilled and expert team is willing to help. We go all out to deliver excellent remodels and repairs to Austin residents that are done correctly the first time. Your Austin living space is important to us, which is why we do our best to give you amazing craftsmanship. Our competent handymen are on hand for all your home maintenance requests. We only employ the most experienced craftsmen. If you make an effort to do the job yourself, you run the possibility of causing damage, which will be pricier than the initial repair or maintenance task. You don’t have to take the chance when you can depend on us to deal with the issue. Our handymen can take up the job. We have the sources and the qualified specialists to do it. Our dedication to you and established track record is what sets us apart from other Austin, TX handyman companies. We are able to work around any schedule, as well as bring additional resources to assist with your work request. You will find our crew to be capable and kind. When you need a licensed handyman, use Professional Handyman Austin. Regardless if you want an Austin painter, or you need to put a fence around your home, our Austin handyman can bring your request to fruition. We provide full-service, high-quality handyman and home improvement services in the Austin, TX area, from the initial design concept to the completed project. If you are looking for a skilled and affordable handyman in Austin, TX, look no further than Professional Handyman Austin. We strive to uphold the utmost standards, while surpassing customer’s expectations on all levels. For years, we have fulfilled our commitments, and we are recognized for meeting tough deadlines. Our handymen aim to craft a constructive customer relationship that lets us meet and go above the goals of each project. As the customer, you are the most vital member of the home improvement team. Your requirements and wishes guide the design, product selection, and cost point. By using our Austin handyman services, you get the highest quality of work at an economical price, a clean job, and an on-time end date. Whatever your specifications, our crew looks forward to bringing your home a brand-new look. We have been in business for a long time, and we know that it is imperative for you to keep your property modernized to maintain a good appearance, maintain your property value, and make a good first impression. Moreover, you need your home to be functional at all times. When it isn’t functional is where we come in. From home repairs to tile work, we offer a huge assortment of handyman services to make the most of your Austin, TX residential property. We are passionate about what we do. We love making your house look and thrive better. There are many benefits in working with a professional handyman. When you work with our team, you only have to deal with one company to handle the home remodeling, carpentry, and other work that needs to be done. This way, you don’t have to waste time making phone calls to several Austin area home improvement companies when one phone call to us does it all. Our remodels are performed to current building codes and standards. We feel it an honor to provide you with first-rate workmanship that makes your home a showpiece. Regardless if you have a small project for your bathroom, or you want to build a patio in your outdoor living space, trust us to help you. Our intent is your complete satisfaction. When you are in need of the best handyman in Austin, Texas, schedule a consultation with one of our handymen. Regardless if your task requires a handyman in Round Rock, or a handyman in Cedar Park, our handyman will come to your Austin, TX area home ready to work. We pay attention to every detail and take extreme care when maintaining, installing, or repairing any part of your home. 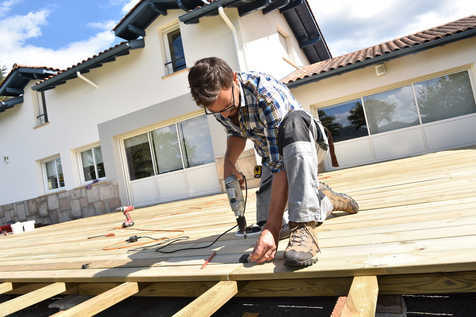 Every member of our handyman team is accustomed to using the numerous tools, products, and pieces of equipment needed to handle home improvement projects. If your Austin, TX residence has a leaky bathroom faucet, peeling paint, or drafty windows, it might be time to fix the wear and tear.